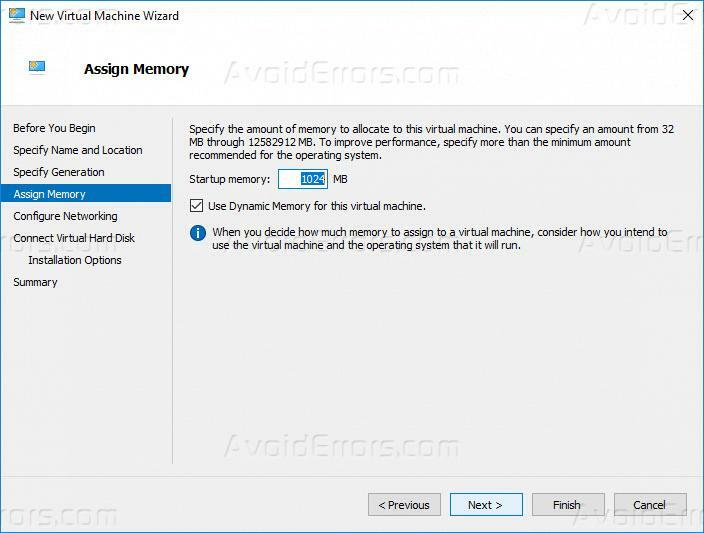 In this article I will explain how we can install Raspbian OS on Hyper V. Raspbian is the official operating system for Raspberry Pi. 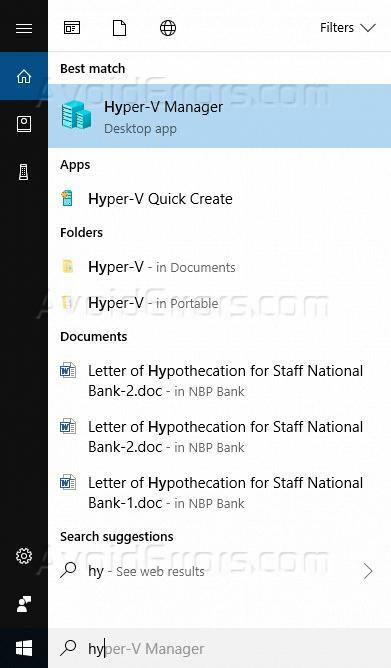 You can download the operating system by clicking here. 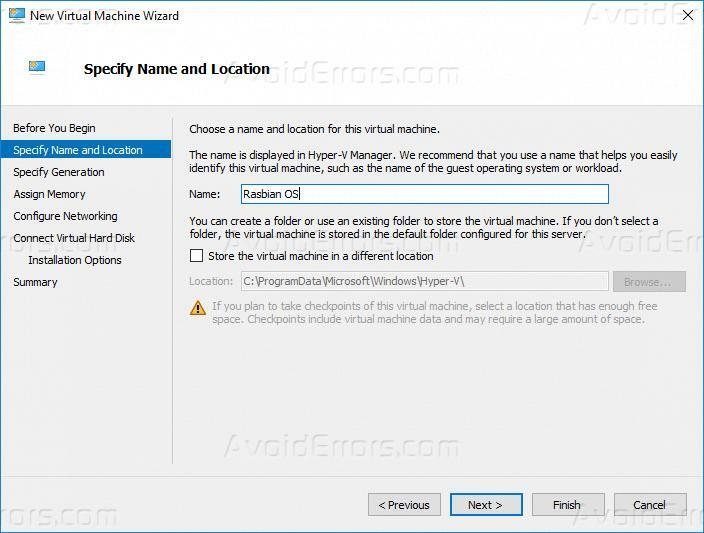 Once downloaded follow the steps to install Raspbian OS on your Hyper-V. Click on start button and type Hyper-V, on the top of the list you will see hyper V manager click on it to open it. 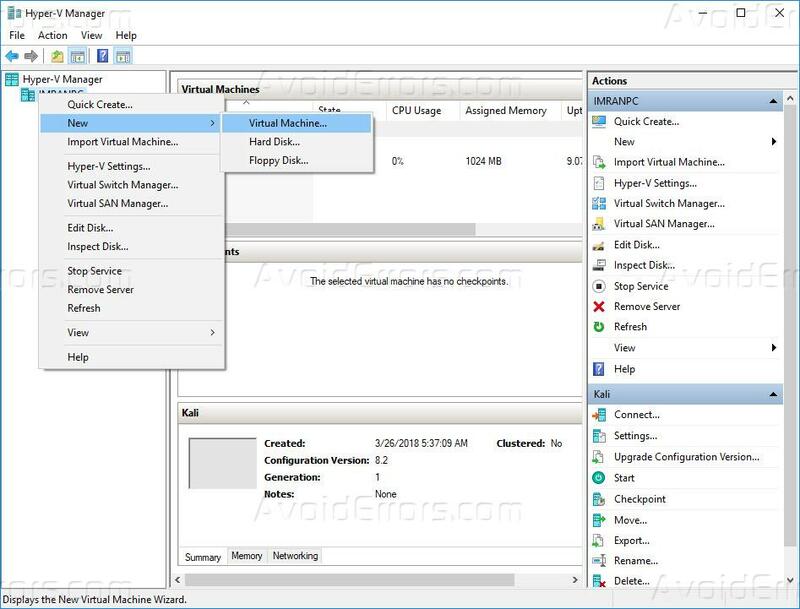 Once the Hyper-V manager loaded, right click on the computer name and click on new, then select virtual machine this will launch Virtual Machine creation wizard. 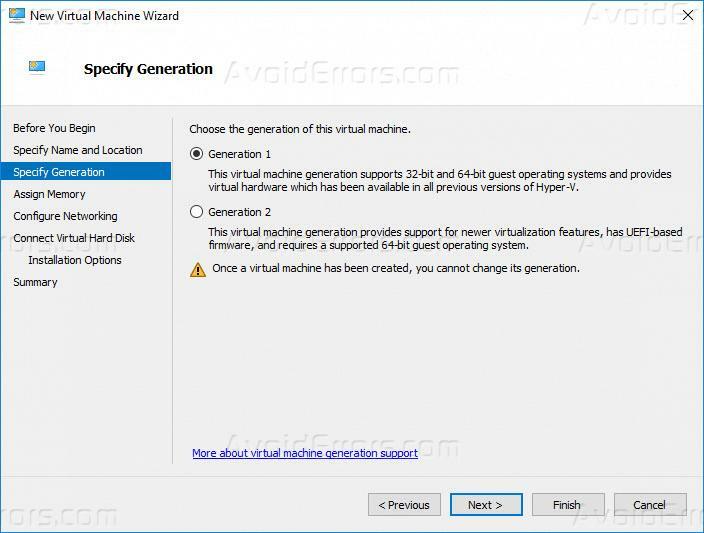 Then select the generation of the virtual machine that you are going to create. The generation 1 supports 32 bits as well as the 64-bit operating system and the generation 2 support UEFI based firmware. I have selected generation 1 and then click Next. Now specify the RAM you want to allocate to the operating system I have selected one GB of RAM which is in an enough for Raspbian OS. 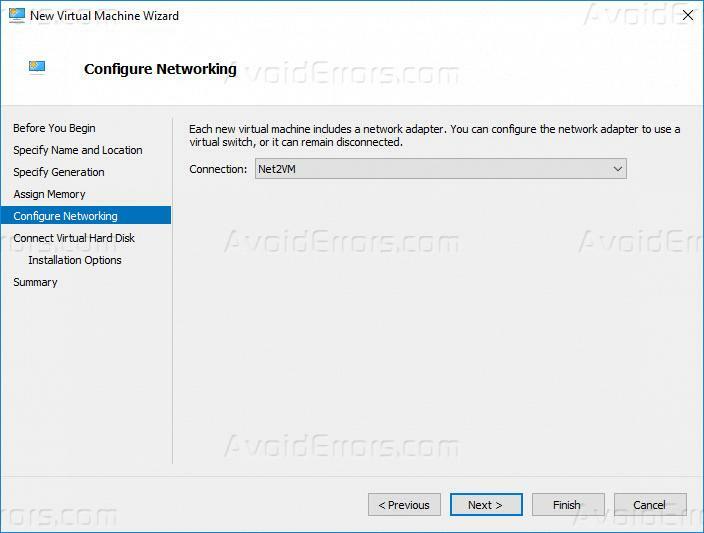 Now select the network adapter that you want to connect with this virtual machine so that this virtual machine can have access to the internet and then click next. 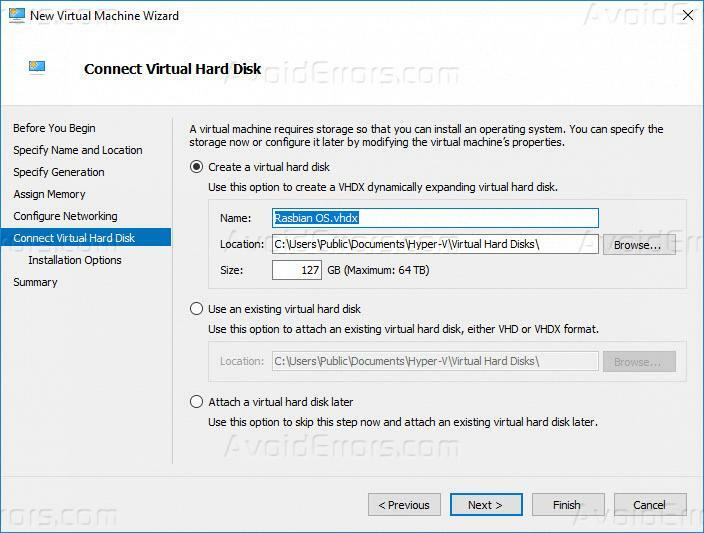 Now select the size of the virtual hard disk that will be created for this virtual operating system IFSC elected 127 GB by default and then click Next. 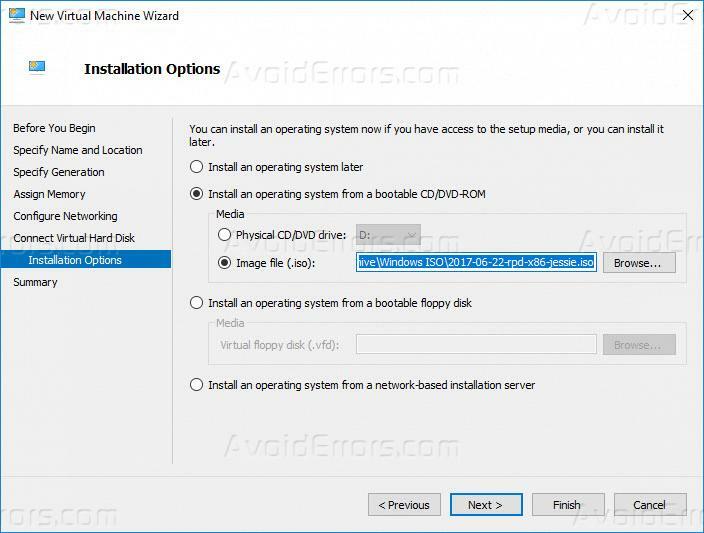 At this point, the wizard will ask you to specify the CD ROM from where you want to install the operating system or specify the location of ISO which has OS. The ISO that you have downloaded in the start will be used here. Specify the location of that ISO file by clicking the browse button and then click next. 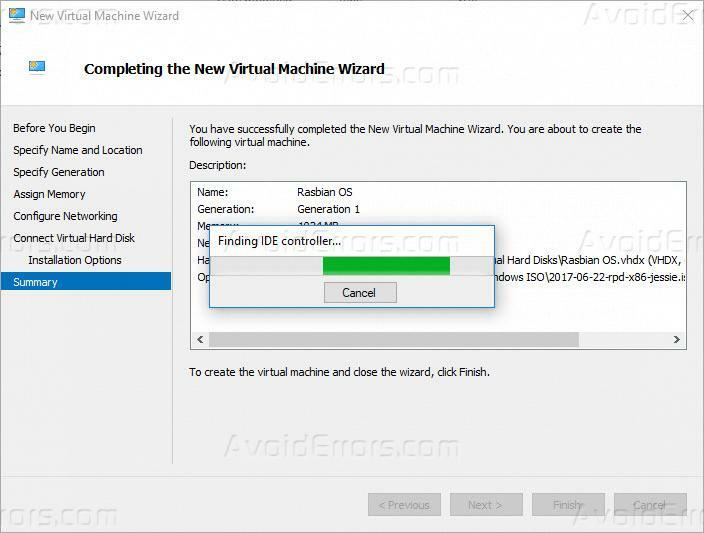 Now the Wizard will create the virtual machine of Raspbian OS on Hyper-V.
Once the virtual machine has been created right click on it and select start to start the virtual machine and then double-click the virtual machine to access it. 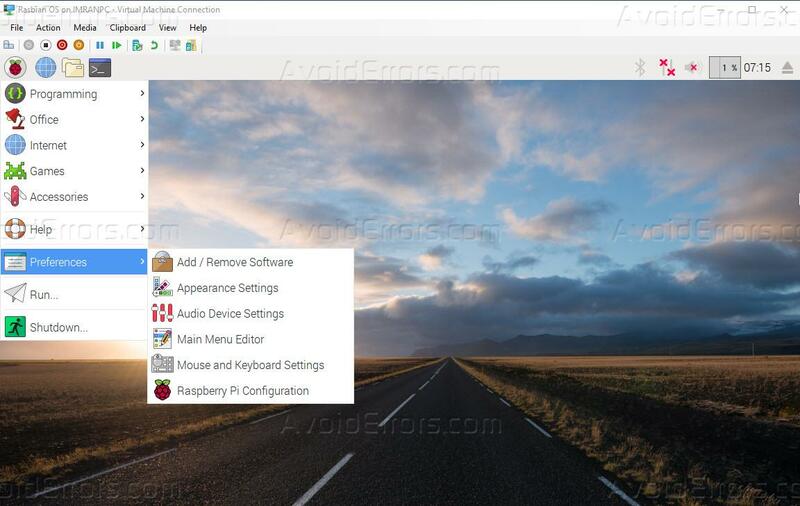 On Raspbian operating system installation wizard, you will get different options, select Graphical Install and then press enter. It will ask you to select the language to select the language as per your country and click continue. 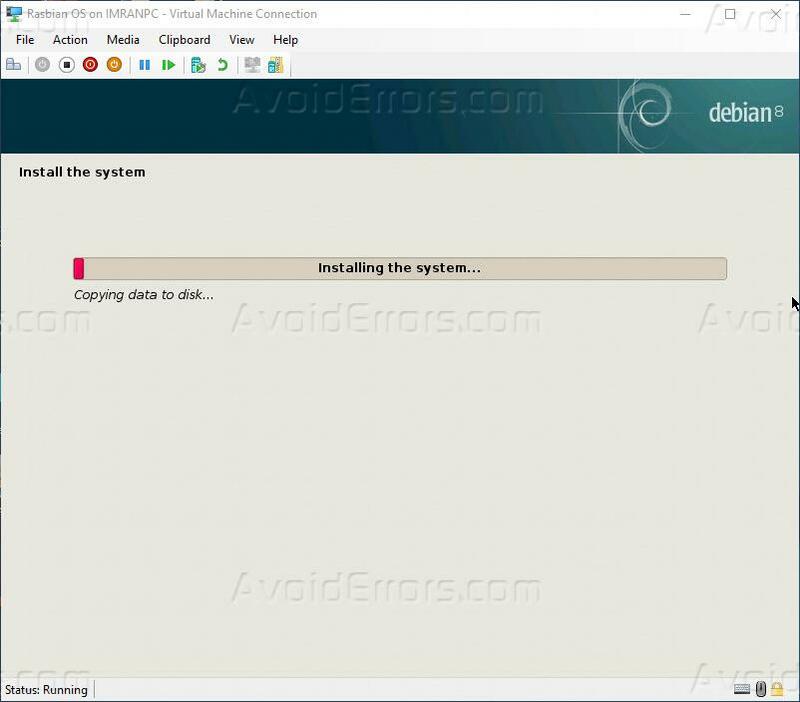 Now the installation wizard will ask you to setup disk partition for installation of OS select guided – use entire disk and then click continue. It will warn you that all the data on the test will be arranged click continue. 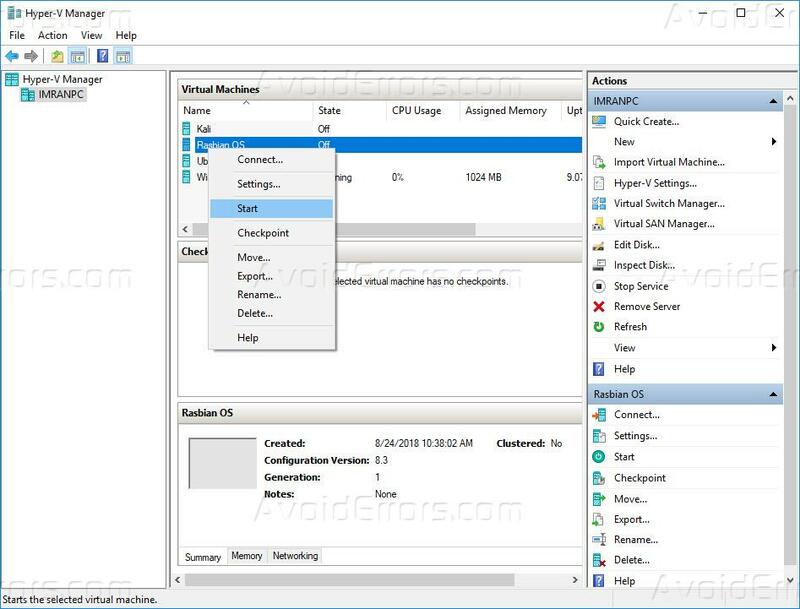 There are different methods of this partitioning but the most convenient is to partition the drive-in single partition. 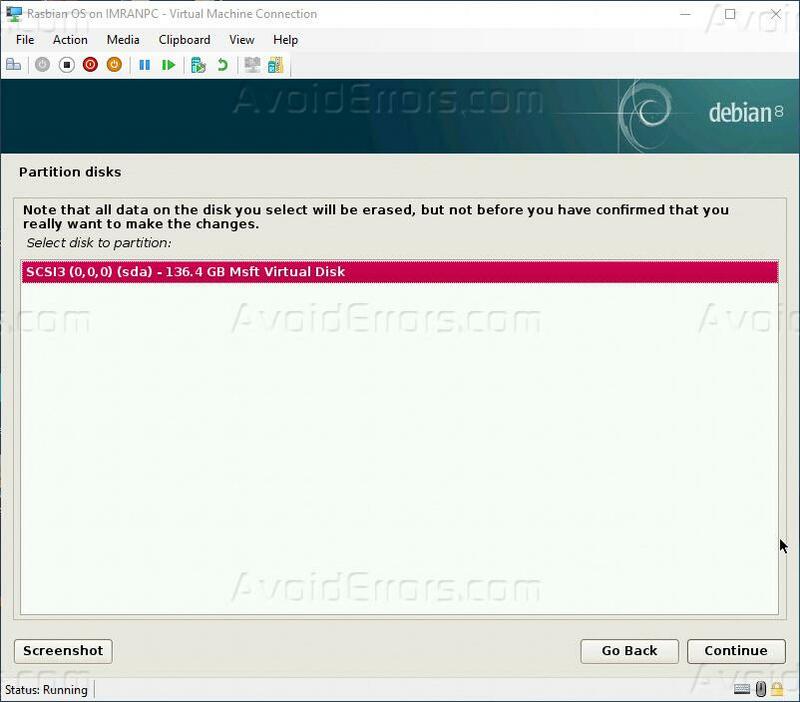 So, select the first option all files in one partition and click continue. 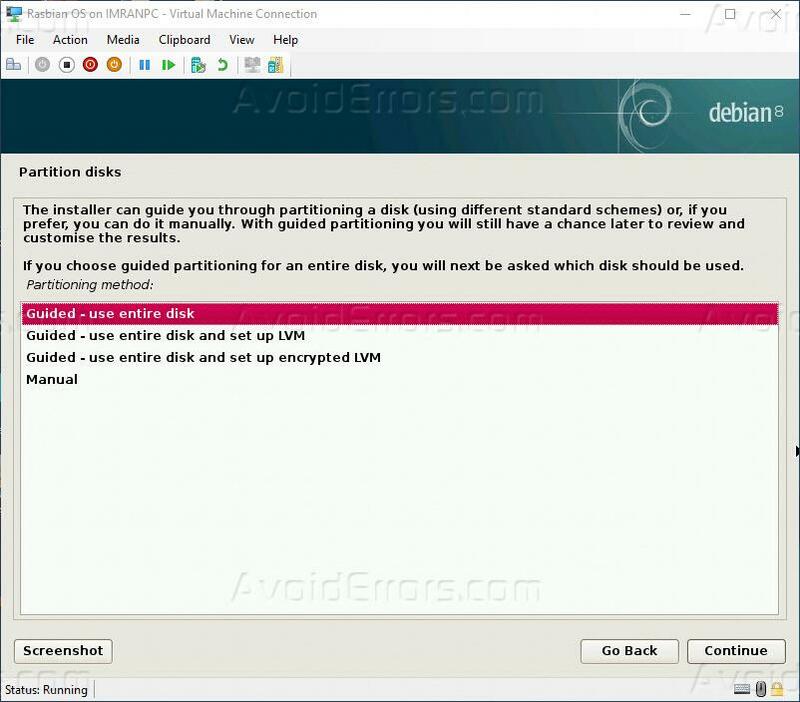 This will show you the summary of the partition setup select finish partitioning and write changes to disk and click continue. It will give you a confirmation that you are selected changes will be implemented select yes and then click continue. Now the visit will start the installation of Raspbian OS on the virtual machine. 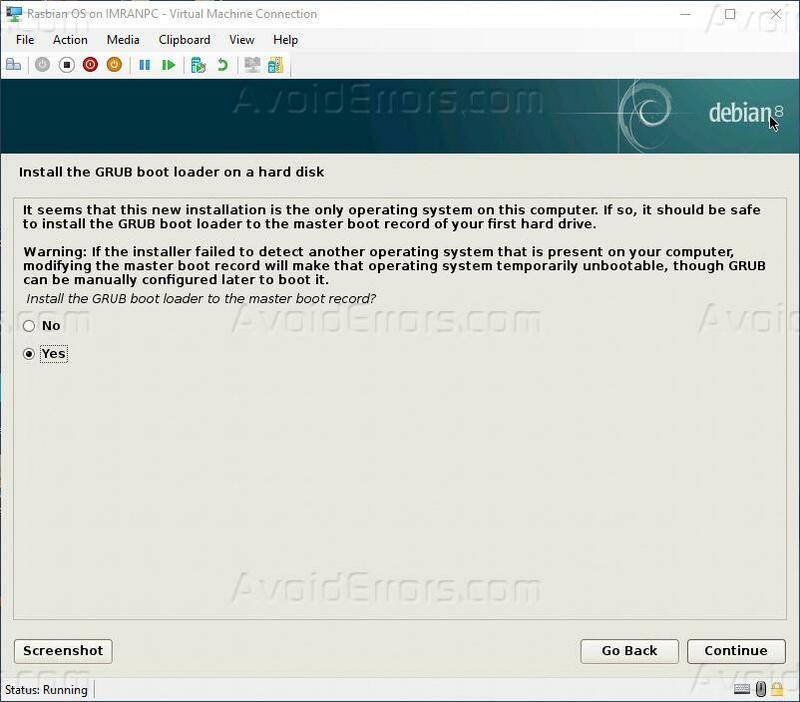 During installation, it will ask you to install GRUB bootloader and hard disk select yes and click continue. 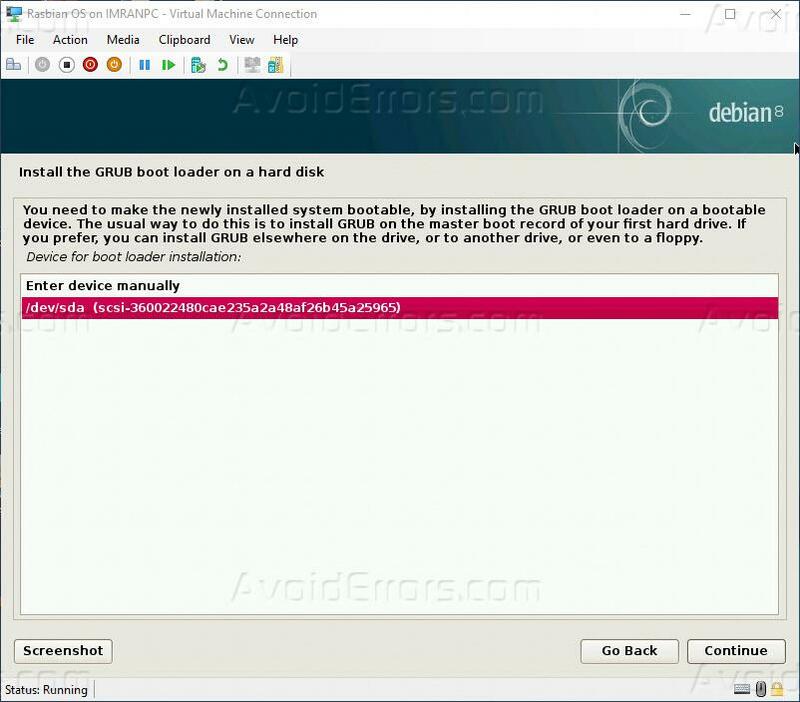 Then specify the location where you want to install GRUB bootloader, select the second option and click continue. 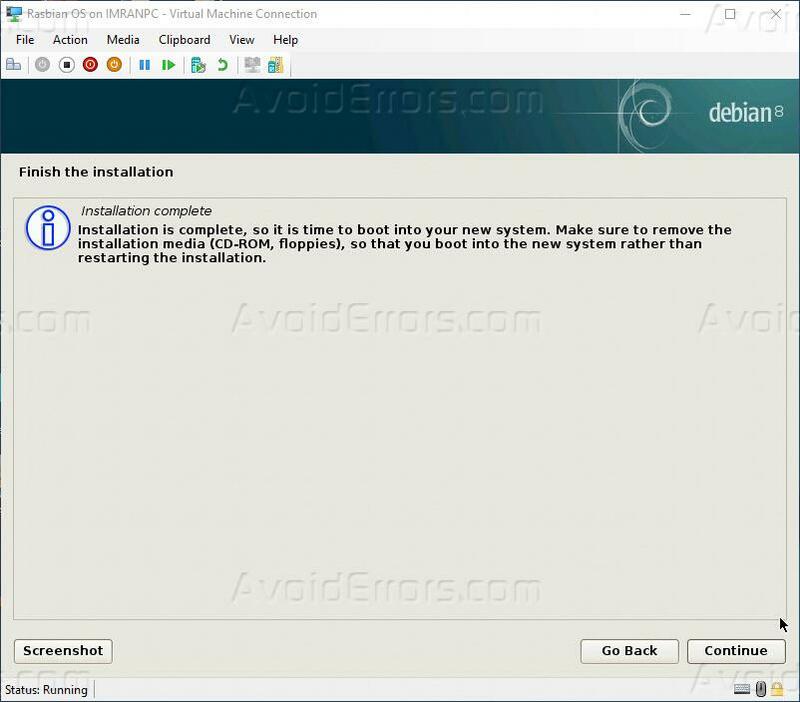 Once installation completed the wizard will notify that installation has been completed click continue. This will reboot the virtual machine. 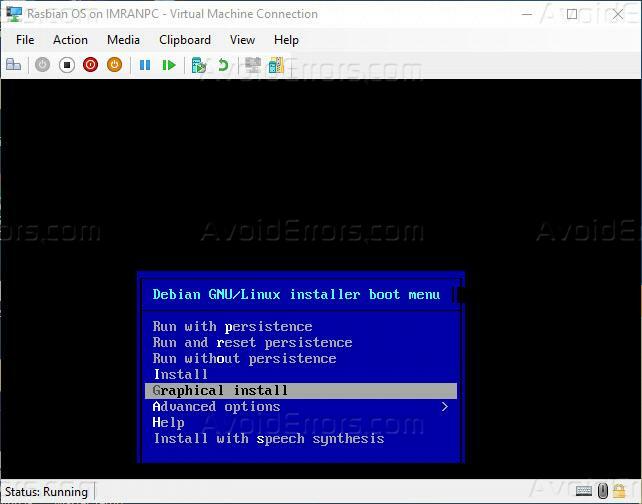 Now you are logged in to Raspbian OS on your hyper V virtual machine.